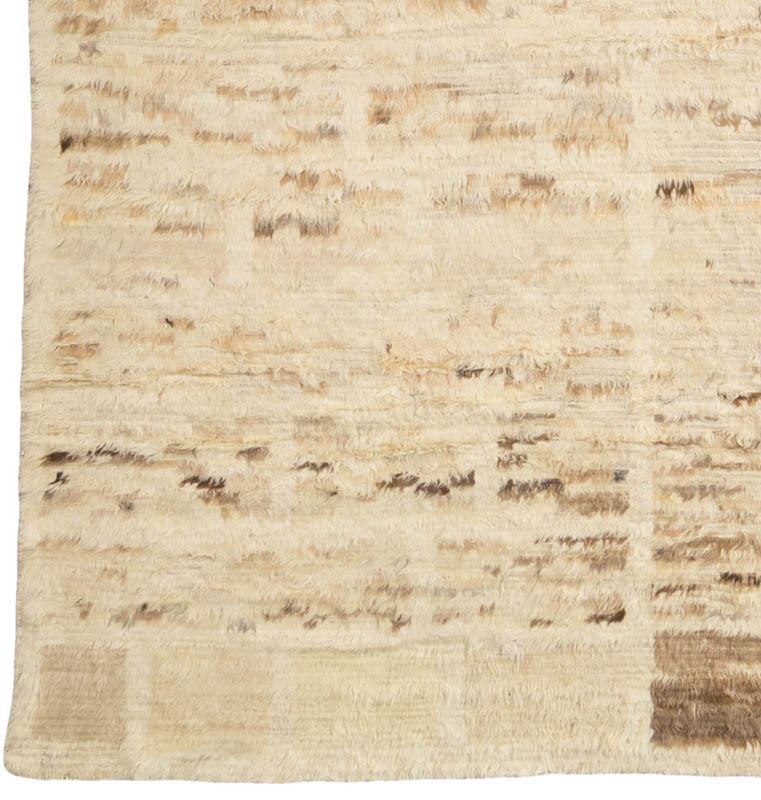 Handwoven and hand knotted in Afghanistan by weavers using undyed Ghazni wool. 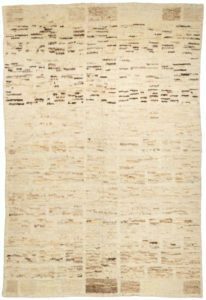 These pieces have features of both knotted rugs and kilim rugs. Every few rows the weaver will tie knots using Ghazni wool. 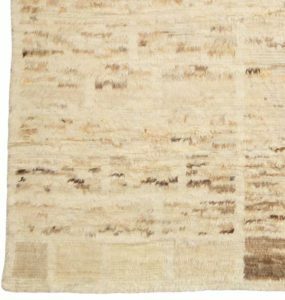 Ghazni wool is one of the best wools in the world; it’s very soft and has a long staple length. 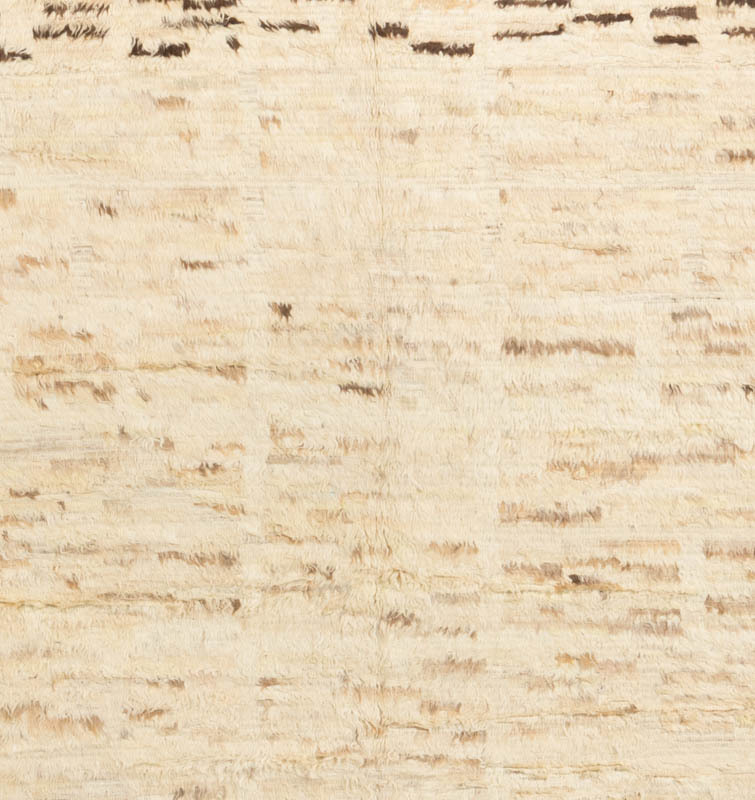 It’s the perfect wool for achieving the texture for the Nomad Moderns. 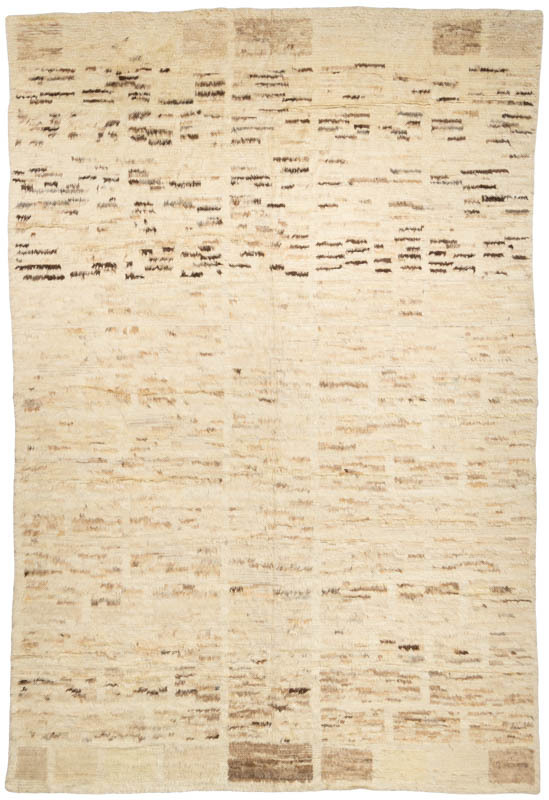 On the front of the rug, the undyed Ghazni wool has natural shades of ivories and browns and feels amazing underfoot. 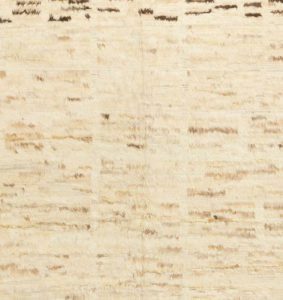 The rug can even be used backside up, which has a beautiful flatwoven textured look.